Lusterstone has been serving the Omaha area for over 30 years with over 1500 customers and over million sq. ft. of material installed. We are the experts in stone and epoxy in Omaha. 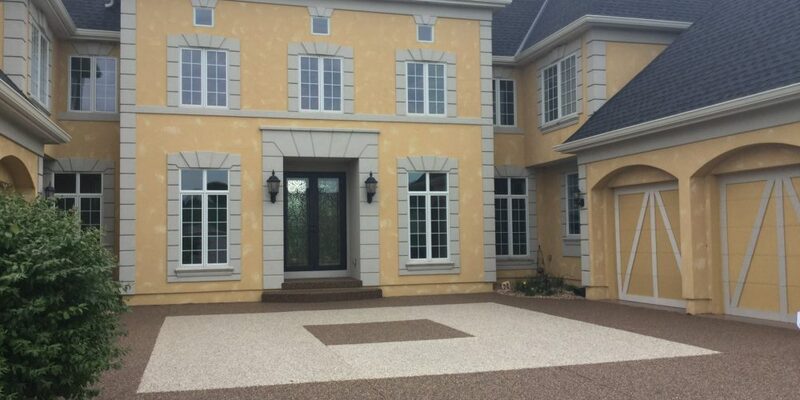 We provide excellent workmanship and superior stone/epoxy ratios that are proven to work best in the Midwest. The Myers brothers are second generation business owners with companies in Kansas City, St. Louis and Omaha. We are one of the largest family paving companies in the USA, installing more than 10,000,000 ft.
Our father, Bill Myers, now retired, pioneered this industry in Kansas City in the 80’s and through 90’s winning the national dealer award two years in a row. We are all blessed with his wisdom and love. We are a Christian based family business and conduct ourselves accordingly.